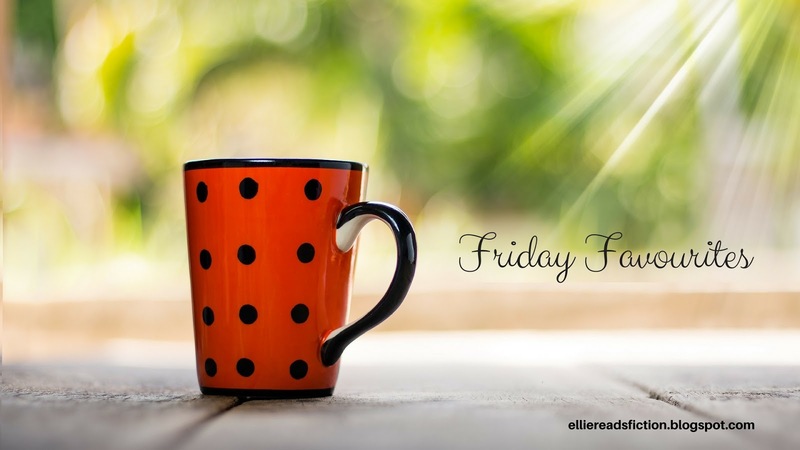 I'm excited to have my guest today the lovely Talia Hibbert, author of contemporary interracial romances. She just released her latest one, The Princess Trap, and look at the cover! and the blurb! Who could resist it! 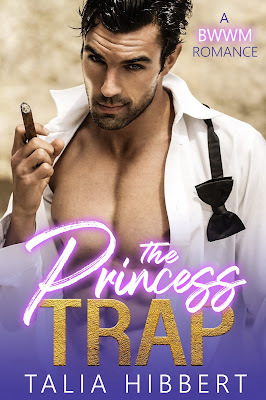 Read on for a fun interview with Talia and make sure to scroll to the end of the post for an exclusive excerpt from The Princess Trap! My favourite place in the whole world is actually very boring. I love my bedroom. My bed lies under a large window, and through that window I can see the sunset, and it paints wonderful colours across the sky. At night, I can see all of the stars, because in front of my house there’s only fields for miles. No light pollution. Sometimes I open the windows and lie on my bed and watch the sky until I get cold. My favourite food is sweet potato; specifically baked sweet potato with lots of salt and chilli. I love the fact that it’s orange inside. It makes me happy. My favourite drink is water, because it feels like drinking life, or cleanliness or something. I probably sound really healthy now, but I’m not. I have a sugar addiction. It’s quite bad. I absolutely adore music in general, so this is hard. My favourite artist is, of course, Beyoncé. One time I touched her and we made eye contact and she smiled at me. That was four years ago and I have been blessed ever since. My favourite genre would have to be RnB; it’s a gift. Indie rock comes a close second. My favourite song changes every few years, but right now it’s Bad to the Bone by Little Sims, because every time I hear it I feel it in my chest. Again, this is hard! All I do is stay in my room and read/watch/listen to cool stuff, so you’re killing me with these questions. I’m gonna choose a TV series and say... My Wife and Kids. The nostalgia factor is real, and Michael reminds me of my dad. Take from that what you will. Makeup! I love doing my makeup. I don’t often wear it outside the house; I just like playing with my face. 7. Please introduce your latest release. My latest release juuust came out, on the 8th of February. It’s called The Princess Trap and it’s a royal romance featuring a fake engagement, which is something I’ve never written about before. I’ve always loved princess stories, but black princesses are severely underrepresented. (Side note: shoutout to Rodgers and Hammerstein’s Cinderella for keeping my tiny dreams alive.) A certain royal engagement reminded me that monarchy is a real thing that actually exists (wild, I know), so I decided to take advantage of that and write something about it. Something with lots of kissing and black girl magic, of course. Talia Hibbert is a writer and educator from England, U.K., by way of both the West Indies and West Africa. She writes contemporary, interracial romance novels featuring steamy love scenes and bad jokes. In her free time, she eats lots of ice cream despite being lactose intolerant. The room was veiled with inky darkness. As he shut the door behind him, his vision blanked out completely. But he waited, knowing his eyes would find the faintest scrap of light somewhere, if he gave them a chance. He’d spent a lot of time locked in dark rooms as a kid. Sure enough, the outlines of furniture came into view, so faint and shadowed he wasn’t sure if he really saw them, or somehow sensed them. But those were the kinds of fanciful thoughts he’d taken comfort in as a child—maybe I’m special, maybe I have powers, and one day I’ll use them to make everyone pay. Now he was an adult, and he knew that his supposed night vision was thanks to cracks in the curtains and underneath the doors, and pupils wide enough to drink in those drops of light and put them to use. He moved gingerly through the room, still managing to catch a side table with his hip, but not falling over anything or otherwise disgracing himself. When he reached the foot of Cherry’s bed, he felt a little presumptuous sitting down—but the darkness was too disorientating for him to stand on ceremony. He received nothing but silence in reply. He couldn’t quite grasp the quality of that silence. Was she agreeing, or simply surprised by his words, or too tired to bother with conversation? He supposed it didn’t matter. “Believe it or not,” he said, “I didn’t come here to irritate you.” The words reminded him of conversations with his siblings. He was beginning to think he had issues. He felt the sting of rejection too keenly, and yet, he chased it down. “So why did you come?” She demanded. Even though she’d been lying in the dark, she didn’t sound tired. But then, as far as he could tell, she spent all day in the library reading books and playing with her cat. She snorted. Which was close to a laugh, right? He’d made her laugh once. Before she’d learned to be wary of him. “Something like that,” she admitted. She shifted slightly on the bed, and he felt the motion through the mattress as if they were lying side by side. He’d said there was distance between them, but he had the oddest feeling that if he reached out, his hand would find her ankle, or her calf. He laced his fingers together and put them firmly in his lap. She did laugh at that; an adorable little giggle that bubbled out like water from a fountain. She tried to hide it; he could tell. He couldn’t see her, but he’d bet money on the fact that she’d put a hand over her mouth. Didn’t matter. In the quiet of the night, and with the way she captured his attention so very thoroughly, he couldn’t miss it. And the sound made him bold. “I want to know you,” he said, honestly enough. But he clambered up the bed as he said it, finding the headboard with outstretched hands before settling down beside her. “I should bloody well hope not. But you’re lying on them and it’s pulling them off me.” He felt her foot knock into his calf through the covers, a glancing blow. He wasn’t sure if she’d kicked him on purpose or if she’d come across him by accident and snatched herself away in the next breath. He wanted her to do it again. But that wasn’t why he’d come, he reminded himself sternly. “I think we should play twenty questions,” he said.